Regular (hourly) express / non-stop services to Dublin city and Dublin airport. Oranmore, Craughwell, Aughrim, Athlone (B&Q, Town Centre & IT), Moate, Killbeggan, Tyrellspass, Rochfordbridge, Miltonpass, Kinnegad, Enfield, Lucan, Liffey Valley and Heuston station. (The limited services do not stop between Athlone and Dublin). 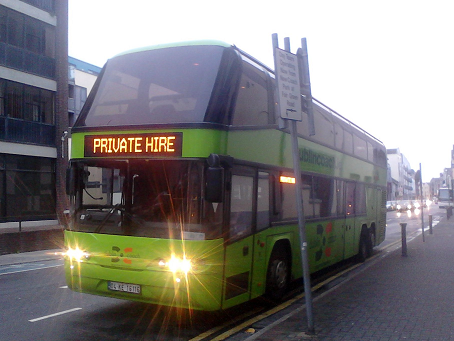 Regular (hourly) non-stop services to Dublin city and Dublin airport. Daylink: Mon-Sat service to/from Athenry, via NUIG / University Hosptial / UHG, Monennageshia / GFSC, Bon Secours Hosptial, GMIT, Merlin Park Hosptial, Galway Clinic. Nightlink: Late-night service between Athenry and Galway City on Thurs-Sat nights. Fri and Sun services, primarily for students. To Galway from Athlone via Ballinasloe and Loughrea, and return. Fri-Sat-Sun services to/from Loughrea, Portumna, Birr, Kilcormac, Tullamore, - some are college-term only, while others are year-round. 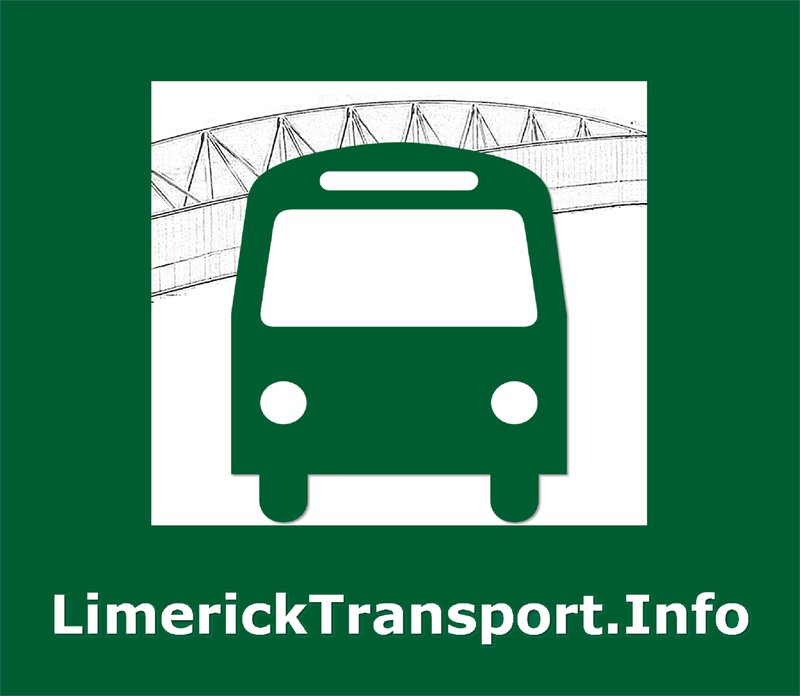 Friday and Sunday student services between Galway and Waterford cities, stopping at Carrick-on-Suir, Clonmel, Cahir, Tipperary, Limerick city and University of Limerick (UL). 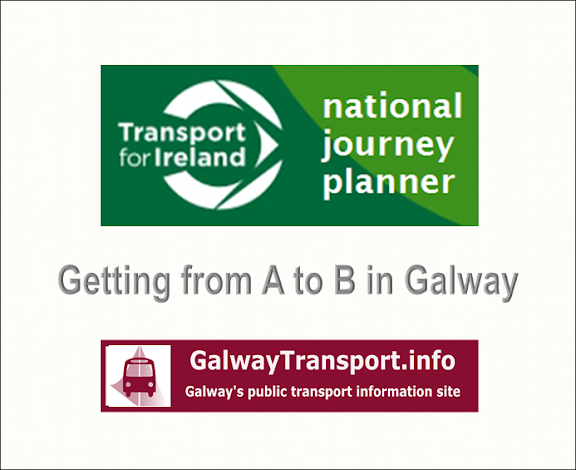 South East (SE) Galway IRD - "The Local Bus"
Run a service from the Woodford/ Ballinakill area to Galway City on the 1st and 3rd Saturday of the month. Leaves Looscaun Church at 10.20am and Walsh’s Bar, Woodford at 10.30am. Return leaves Galway City at 5pm. Booking essential - contact 090-9741867. 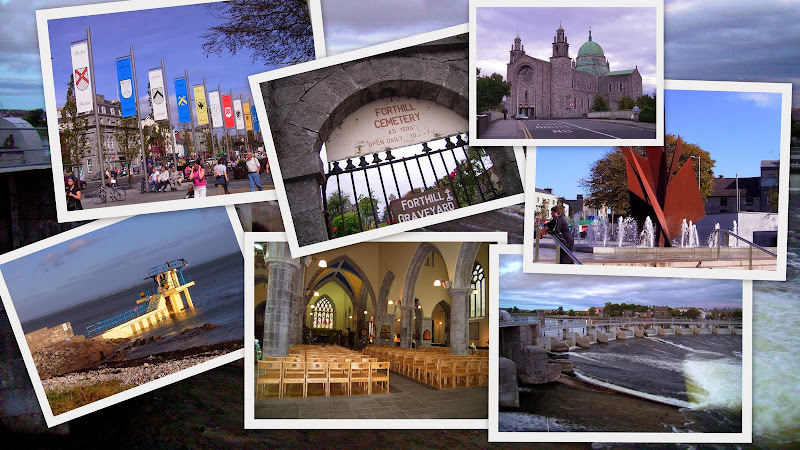 Run a daily Dublin - Galway and return service, aimed at people doing day-tours in Galway, but open to anyone. Same journey time and price as other operators. 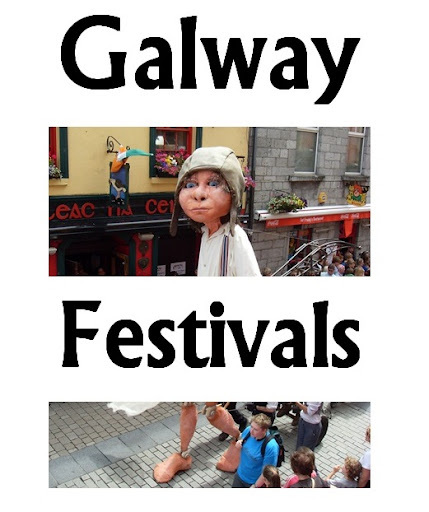 7am ex Discover Ireland in Sufolk St, Dublin, and 6:30pm ex Galway Coach Station. 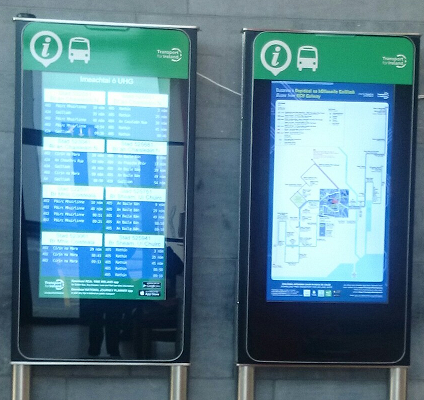 For some destinations in the south east of Ireland, it may be better to change buses at Shannon Airport or Limerick. 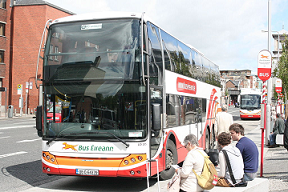 Dublin Coach run a service from Limerick City to Dublin airport, with stops in Kildare Village and Red Cow.